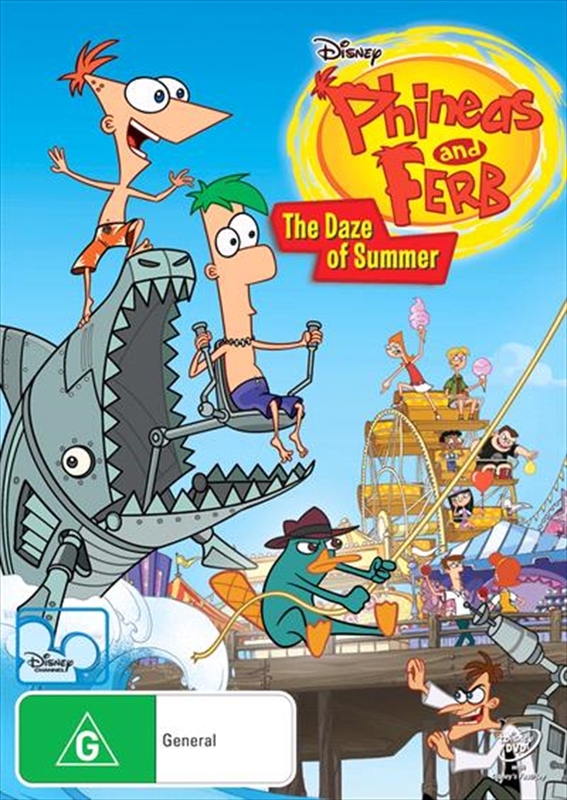 Summer fun lasts forever when you're with Phineas and Ferb, so pull up a beach chair and get ready to laugh yourself silly with 5 hilarious episodes from the smash-hit Disney Channel Original Series. Plus, get in on the fun with the exclusive Googolplex Mall Science Fair Games where you can create your own experiments! Super-smart and seriously funny stepbrothers Phineas and Ferb come up with unusually exciting ways to spend the lazy, crazy "daze" of summer - like searching for pirate's treasure, traveling to Mars, building Greek chariots and hosting a Medieval jousting tournament! While the guys are cramming each long day with cool friends, awesome adventures and totally rocking music, their pet platypus, Perry (aka Agent P), continues to protect the world from the evil Dr. Doofenschmirtz. And, of course, their big sis, Candace, keeps busy texting her friends and trying to bust the bros.